On our last vacation away from the kids we decided to check out the Grand Canyon. Neither of us had ever visited a National Park, so we weren’t sure what to expect. My family grew up enjoying relax-at-the-beach-and-read vacations, and my husband’s family was into taking in everything the big cities had to offer. Plus, the Grand Canyon is a big hole—how exciting can that be? But two days of either hiking down into the canyon or viewing it from twenty different vistas got us hooked. It turns out awe and wonder over creation and natural beauty can provide quite the high. We would stand looking into that vast expanse of emptiness and this vast space of nothing would ironically fill us up to the point that we could not look away. We stopped trying to take pictures because the view is edgeless—it can’t be contained. So when my cousin was getting married in San Francisco, we extended the trip to include three days in Yosemite. We were thirsting for more. My cousins—the one getting married and his brother—are adventurers—they sailed around the world for nearly two years (and were featured in Outside magazine for it, in fact). Although they are geniuses and exceedingly brave, they think they are everyday people like us. So they tried to convince us that we could follow a GPS trail they would set to a remote lake in the back country of Yosemite for our trip. When you talk to them, they make you feel like you can do anything. But, we considered our inability to light a fire and the minor problem of bears that have better noses than hounds slight hiccups in this plan, so we opted for a more “glampy” approach. To get there, we rented a car in San Francisco and took the 3 hour drive. On the way we stopped at Target to stock up on picnic and hiking food (prosciutto, cheese, crackers, nuts), and we brought a jug of wine we had snagged from my cousin’s favorite winery the day we arrived. 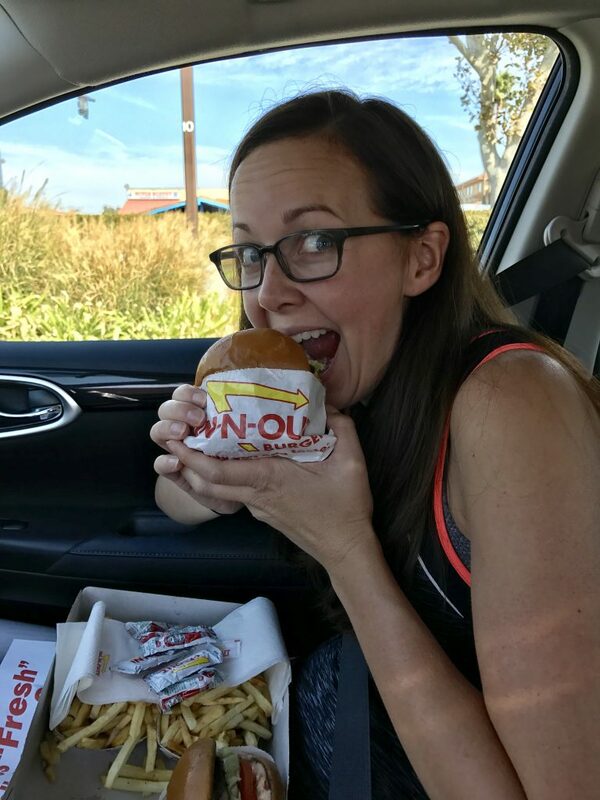 This drive was part of the adventure—we stopped at In and Out on the way so we could claim the full California experience. I didn’t know anything about Yosemite when we drove in, other than the fact that there is a rock called Half Dome. 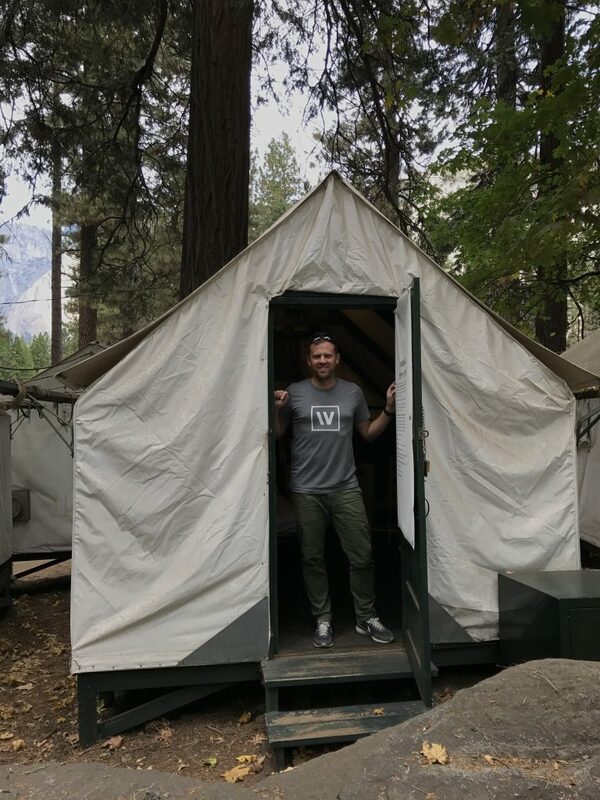 Most of Yosemite’s lodging is located in Yosemite Valley, which I would later come to understand as the base of a canyon with several named and famous domes and rock faces. I navigated while husband Wally drove these winding canyon roads. It was so much to take in that I actually was totally disoriented and didn’t even realize we were descending into the canyon. When we drove in, I also didn’t realize we were looking at Half Dome from a few vistas along the drive. 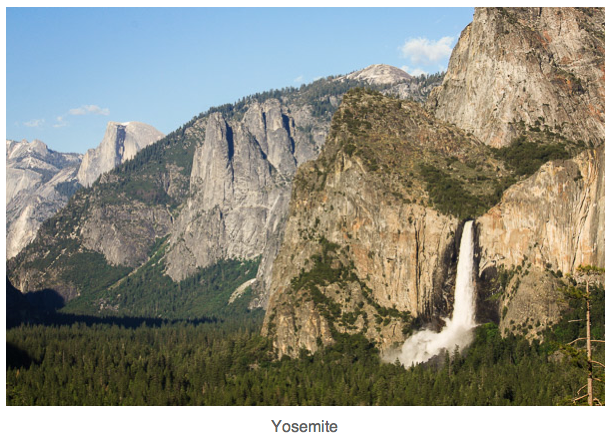 (In fact, most of the easily accessed and therefore most popular parts of Yosemite offer varying views of these same distinctive domes from different angles.) By the end of the trip, I would understand, fall in love with, and be able to name all of these popular rocks and cliffs. 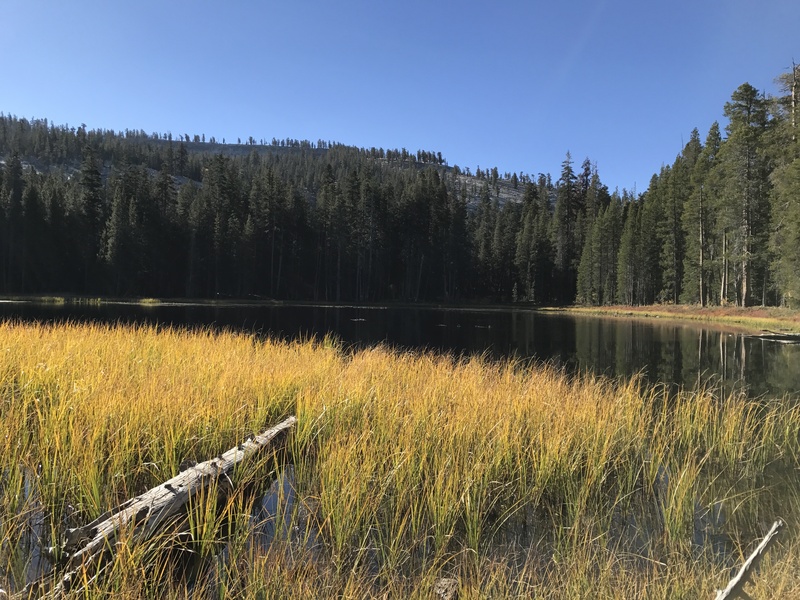 A woman at our cabin tent check-in recommended a hike to May Lake, which we had to say yes to. May is a family name, and it is also the street we live on—it seemed like a sign. 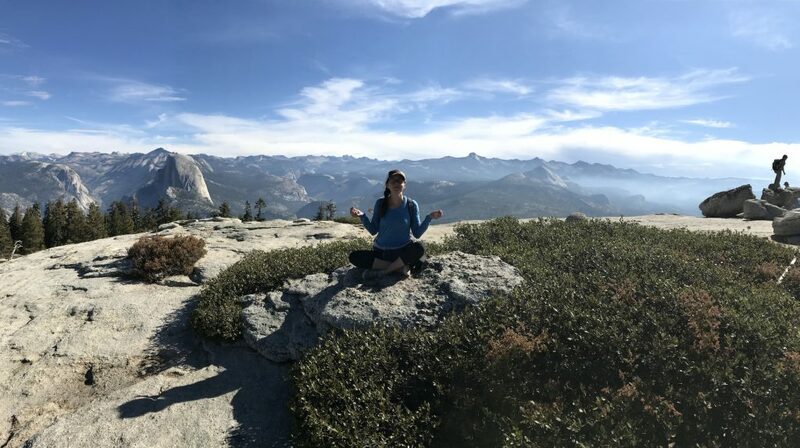 The May Lake hike is located on Tioga Road, which could be a day trip by itself and is the one thing everyone should do if they are visiting Yosemite. Tioga is a 39-mile scenic drive with vistas located every few hundred yards. Thankfully every vista has a parking lot. As we drove, even as a passenger I felt the need to keep my eyes on the road for fear that if I looked into the valleys at the edge of the road I would somehow guide Wally the driver toward them. Every vista is worth the stop. My cousin, one of the adventurers mentioned above, once was hiking into back country so he hitchhiked along Tioga Road to get to a trailhead. He was picked up, and the 10-mile trip took 3 hours driving because the driver wanted to stop at every vista and soak in the view. My cousin, of course, understood—you would be an idiot not to stop and take in this beauty. We had to drive two miles off the main road to get to the May Lake trailhead. We were the only car, which I was both thankful for—since it was a one-lane road with potholes galore— and fearful about—we were giving our rental car, a coupe that we’d dubbed Frodo, the ride of his life. I was relieved and felt less like a bad mom to Frodo when we got to the trailhead parking lot that several other coupes had made the journey. 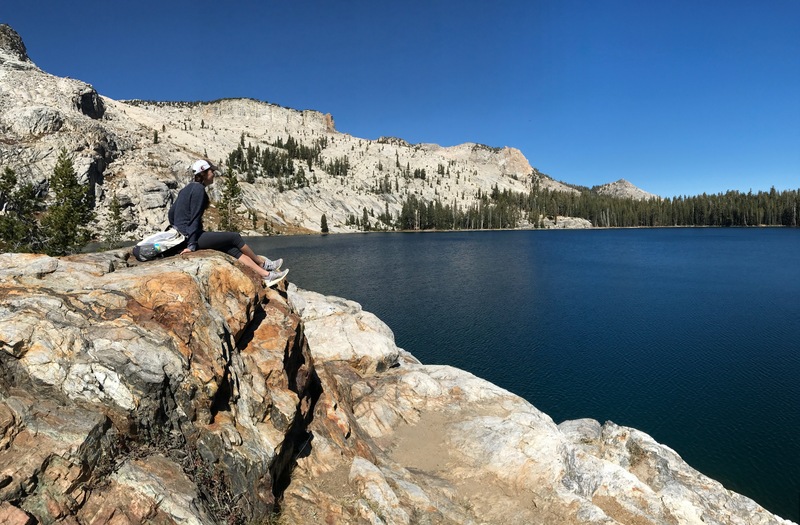 Our hike to May Lake was interrupted by an off-trail adventure to a higher point where we had a totally private view—one of our best views of the trip. We charged up on this splendor and then finished the hike at May Lake, where we found a high rock warming in the sun and had our favorite lunch of the trip. Our smorgasbord of Target snacks was somehow enhanced by the silent expanse of blue water before us and the appetite that only a high elevation hike can inspire. Our final day we took a few people’s advice and hiked the Sentinel Dome Trail. As we hiked we could see Sentinel, and Wally thought he saw a few people on top. “People are so crazy!” he remarked as we looked at the steep rock face and how small they appeared at the top. Then we realized our hike was leading us up and around to the other side—which offered a more gradual ascent to the very crazies we had been looking at from the other side. A woman whose husband had just made the final climb to the top was standing at the level we had made it to. “I couldn’t make it up,” she said. “I got vertigo and couldn’t make it.” Her husband joined her. “Is it worth the climb?” we asked. “Nah, it’s just as beautiful from right here,” he answered. After they left, we looked at each other and shrugged—we’d come this far. A few hundred yards of a wide natural rock staircase later, and we had reached the top. Vertigo woman, your husband is kind to protect you from what you missed. The view from the top goes for days in every direction. I saw a 360 view of tomorrow from on top of that rock. After too much Kung Fu Panda, our kids like to inner peace, so when we weren’t gasping for air from the breathtakingness of all that glory, we decided to take a few funny innerpeacing shots for them. These would end up being my favorite of the trip, and from now on when given a view of the notable Yosemite Valley cliffs and domes, I will imagine myself as a spec on Sentinel, innerpeacing into eternity. He nodded in agreement and we looked out the window, taking in all that beauty for the final time. We slowed down a little to absorb the stunning yellows and oranges of a meadow on our left. “If I were a bear, I think I’d hang out right here,” I said. And you won’t believe me when I tell you, but it’s true. At that very moment, a bear bounded out of the woods in front of us and scuttled across the street. We slowed to let him cross and stopped to watch him disappear into the brush to our right. “Now we can go home,” Wally said. And we headed out of the valley for the final time. 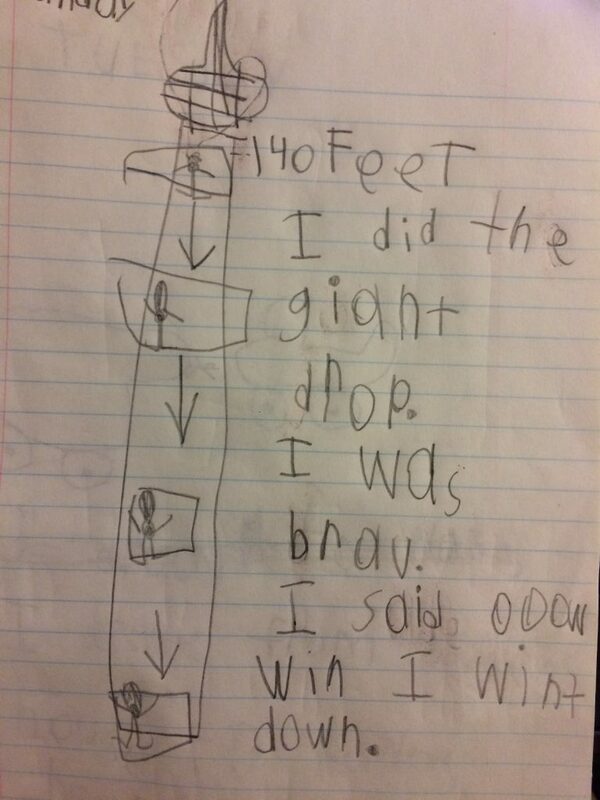 This is an amazing story of your trip! 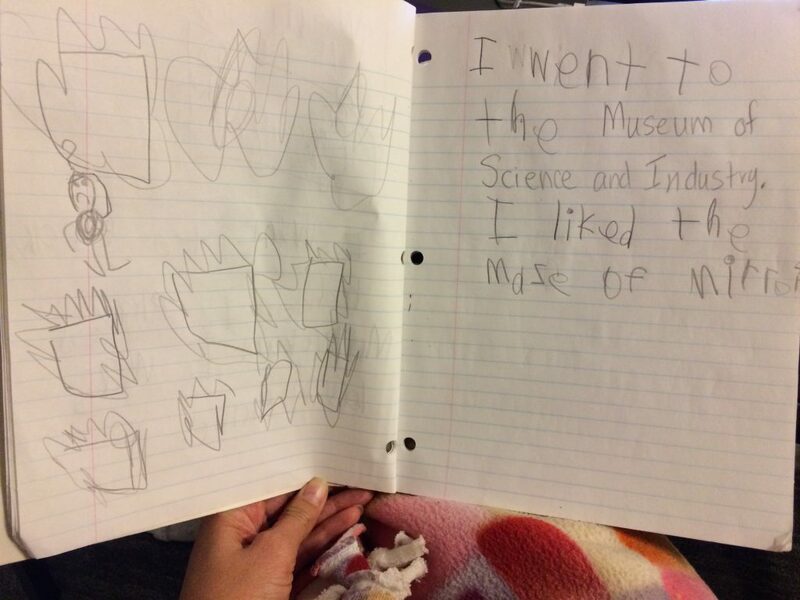 Your descriptions and pictures are wonderful! 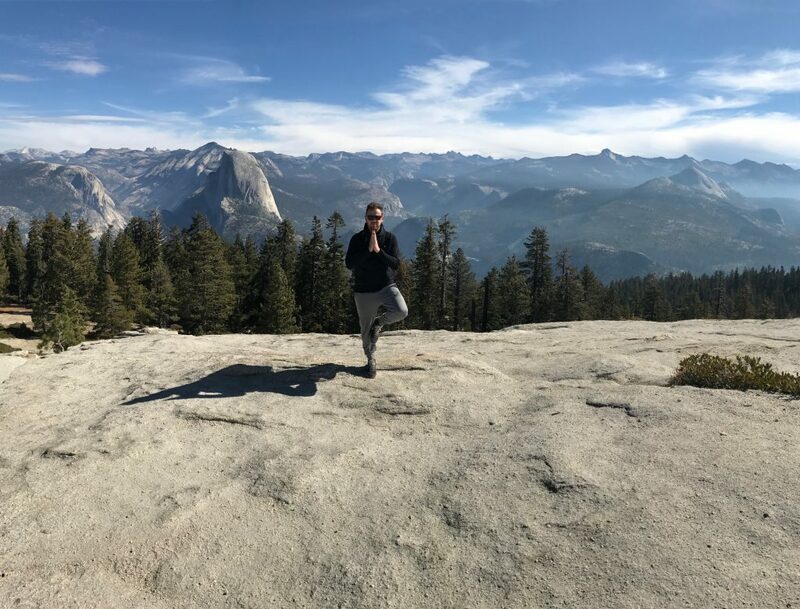 So happy you enjoyed Yosemite the best way possible, taking in all the beauty along the way!